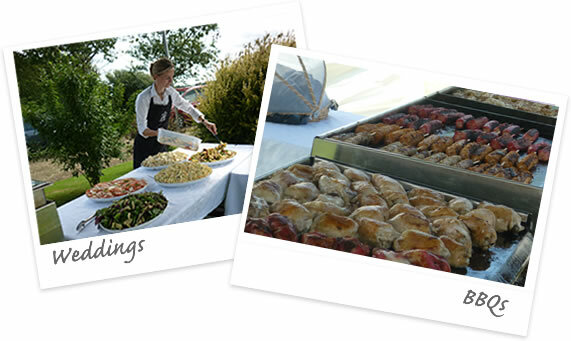 Yew Tree Farm Catering is an exciting addition to the Yew Tree enterprise. Bespoke catering is planned, co- ordinated and then prepared using fresh, local ingredients, sourced from local farming producers. 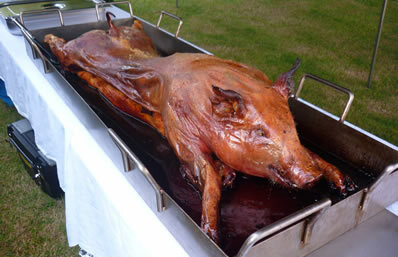 We cater for all special occasions, but particularly for outside functions. We pride ourselves on using a personnel approach, resulting in an individual service for every event. We want to make this process as enjoyable as the event itself. We like to make face to face site visits and take time to ensure that we have discussed all of your requirements. We have a large portfolio of events, testimonials and references. We have previously catered for large and small functions and we can use this experience to gauge ideas and preferences. However we are always open try and enjoy new ideas! What better way to cater for a large gathering of family and friends, than with a succulent, slowly cooked, locally produced High Welfare, pig. Freshly cooked and delivered ready to serve, accompanied with freshly baked bread, apple sauce and sage and onion stuffing. Serviced as pork in a roll or can be incoporated as part of your plated meal. Don't forget this will have lashings of delicious crispy crackling! Maecenas sed diam eget risus varius blandit sit amet non magna. Nulla vitae elit libero, a pharetra. We love helping out at your village event wether it is a summer fete, medieval banquet, music festival or car boot sale we can taylor our catering to suit your needs and hopefully make your event a success and raise lots of money for good courses.